counterpressure fill and seam cans in a small space. 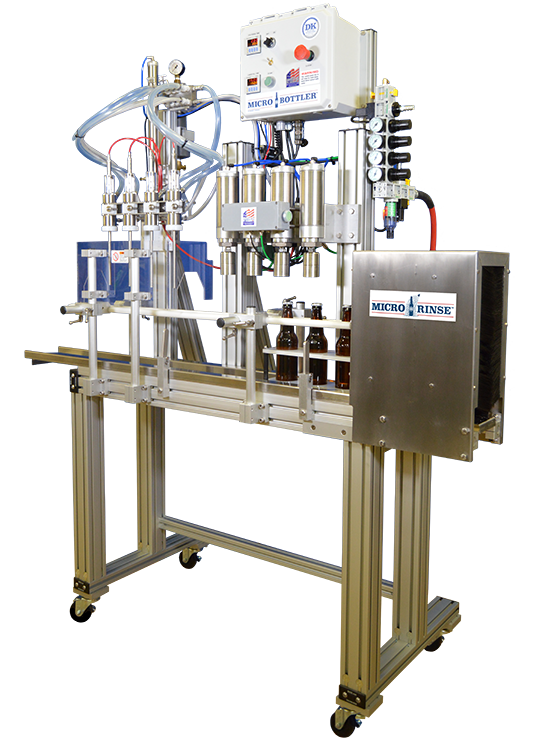 The MicroBottler® is a semi-automatic beverage bottling line. 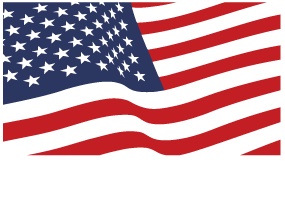 It is designed, built and supported in the USA. 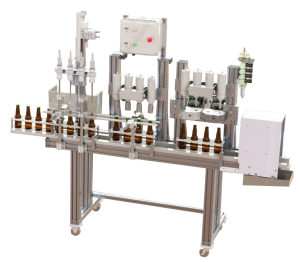 Choose the MicroBottler® to bottle your craft beverages if you want simple set up, efficient bottling by one operator, adjustability to different bottles, caps and corks and versatility to bottle carbonated and non-carbonated drinks. Minimal setup, configuration, and maintenance required. Simple to operate, and easily operated by one individual. Capable of bottling and capping or corking up to ten bottles per minute. Transfers bottles smoothly for further processing. Accommodates bottles ranging in size from 6 to 25 ounces. Quickly and easily reconfigures without the use of tools. Bottles beer, soda, cider, kombucha, juice, cold brewed coffee, sparkling wine, etc. 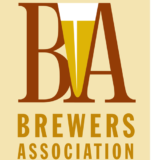 Fills from a keg, bright tank, or vat. 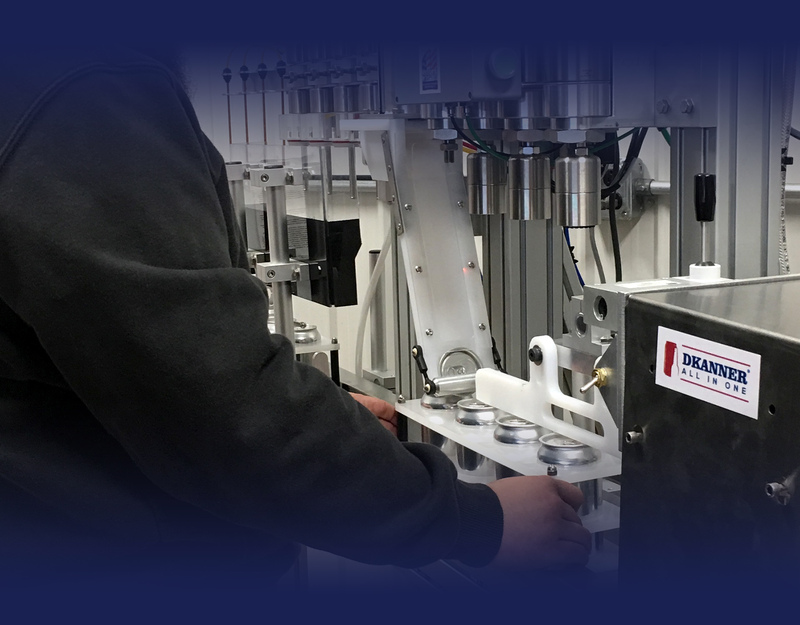 Think you can’t afford a bottling line or fit one in your space? The MicroBottler® is designed to be affordable, compact and easy to operate – the perfect fit to bottle all your delicious beverages or special runs. 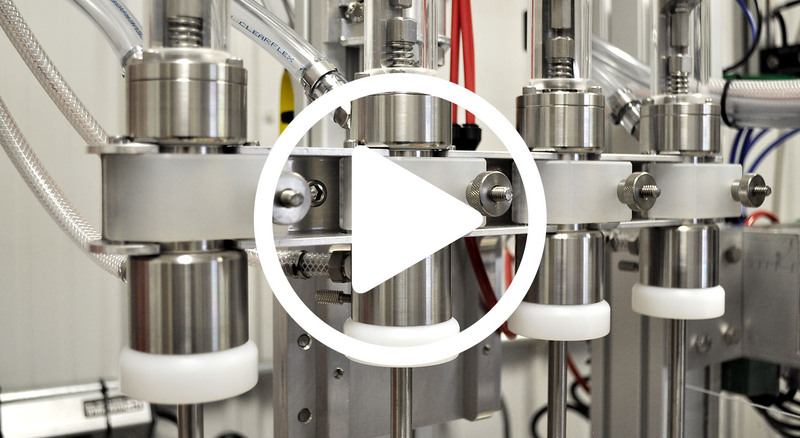 The MicroBottler® – a compact, semi-automatic filling and capping machine is the first of many beverage bottling innovations to come from DK Advanced Technologies. Products can be customized for your business. The MicroBottler All In One fills bottles and cans with ease. 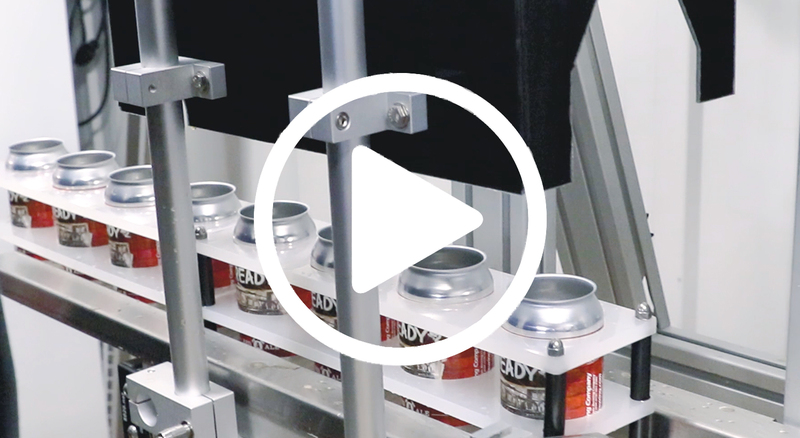 Counterpressure filling and multiple capping options keep all beverages fresher, longer!